A contract in Pennsylvania is defined as an agreement between two or more parties, each of whom intends to create one ore more legal obligations between them. A contract is a legally enforceable promise that something will or will not occur. If a party breaks that promise, then ligation concerning the contract may be necessary. Without written documentation, clients are just begging for a lawsuit.Oral contracts are enforceable in certain situations, however, often lead to disputes and ultimately rely on the credibility of witnesses. Unfortunately, even among friends and family, it is always best to document and memorialize the understandings between the parties concerning legal matters. A contract is simply the legal understandings between two parties. A contract helps explain the rights and legal obligations of each party and typically provides legal remedies should either party default on the contract. Contracts help avoid confusion and misunderstandings. In certain situations (i.e. the sale of a property) the law (Statute of Frauds) mandates that the agreement must be in writing. We have extensive experience in reviewing a wide array of legal contracts and documents. The key to reviewing contracts is to prevent litigation if possible. In a worst case scenario, we make sure that our clients are protected should litigation be necessary. For example, Pennsylvania does not allow the recovery of attorney fees or costs, absent written documentation between the parties or alternatively a specific exception or rule of law authorized by Pennsylvania statute. We are almost always asked: Can I recover my legal fees? Often it is too late, because we were not involved in the drafting of the agreement. Having skilled negotiators, experienced in drafting and reviewing contracts is key in any and all written agreements and contracts. For a free consultation, call our business lawyers at 412.802.6666. Our business lawyers have extensive experience drafting, reviewing, and enforcing physician and employment agreements. Many of these agreements attempt to include vague or unrealistic non-competition and non-solicitation agreements. By having business lawyers who are also trial lawyers, we are able to guide and counsel our clients to make the best decisions prior to litigation becoming necessary. Pittsburgh is a very small medical community and our physician clients trust us to handle their physician agreements and to provide the best business and employment advice possible. Many of the large hospitals in Allegheny County attempt to purchase smaller medical malpractices by offering lucrative contracts to physicians. We have negotiated these contacts to the advantages of physicians by limiting future employment restrictions and increasing the terms of compensation, Rely on the experience of our business attorneys to properly review your proposed employment and physician agreements. Businesses need contracts to ensure payment for goods and services. 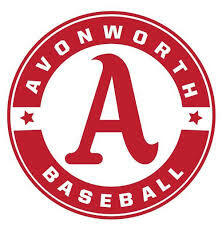 The presence of a well drafted contract should minimize confusion and lawsuits. If enforcement of a contract is necessary, having the proper jurisdiction and venue can be key issues in resolving potential disputes. Many of our business clients need legal advice concerning an array of business documents. Clients trust and value our opinions to help their businesses run more efficiently. If you are an individual or business which has questions pertaining to a contract or an agreement rely on our business attorneys to provide cost effective answers and solutions. 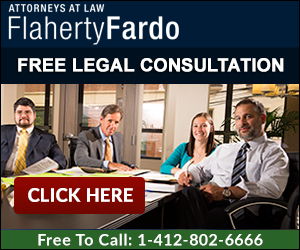 If you or your business have questions about Pennsylvania business law, rely on the cost-effective experienced business attorneys of Flaherty Fardo for a free consultation at 412.802.6666.